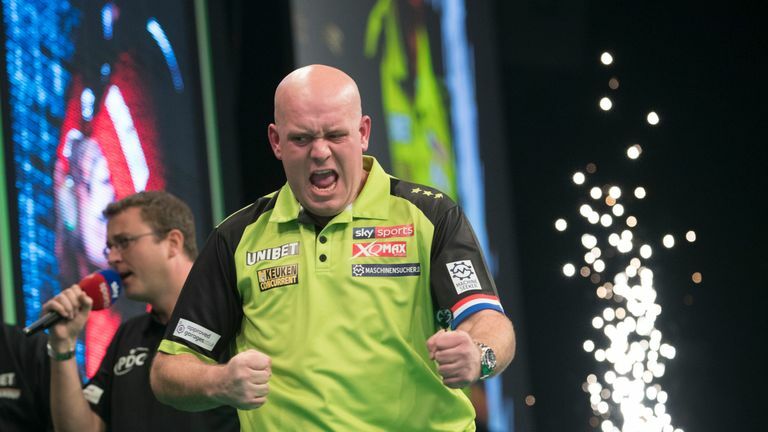 Durrant, who recently won his PDC Tour Card at his first attempt, will make an appearance as a 'Contender' against Gurney while Michael van Gerwen will be aiming to continue his impressive run of not having tasted defeat in a televised match since November 2018 when he faces Mensur Suljovic. World championship finalist Michael Smith takes on Peter 'Snakebite' Wright and Gerwyn Price will be looking to maintain his unbeaten start to the Premier League season when he tackles winless Raymond van Barneveld. Wayne runs the rule over five titanic tungsten contests, live on Sky Sports Action and Sky Sports Main Event from 7pm. There is one thing I learnt about Peter Wright last week. I wrongly labelled him out of form. What I should have labelled him is ultra-inconsistent. He's just got no consistency, even when he hits a ton or 140, the darts are not touching each other. His grouping is not great, but what he did last week was show that he's got so much belief in what he is doing. He's got so much ability that he can be so hot and then just hit the ground running and be so difficult to beat. I see Michael Smith as the nearest thing to Michael van Gerwen that we've got in the world of sport, but not necessarily the second best player in the world because we've got Gary Anderson. I do believe this will be a tough game for Peter Wright because if he has a lull in this game I think Smith gets him. Two of the most impressive performers last week. I thought they were both brilliant. 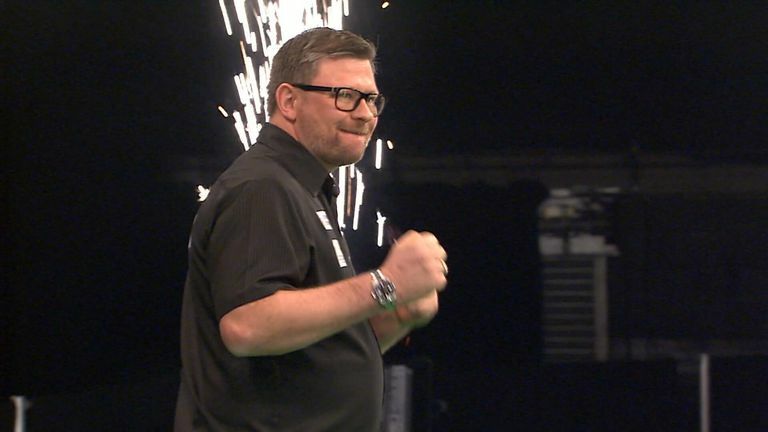 James Wade scored really well against Raymond van Barneveld and his finishing was excellent as well. Rob Cross' performance against Peter Wright was one of the best I've seen from him probably since he won the world title. I thought his action looked smoother than it's looked in probably a year. His belief and composure looked there and he looked like he's got a weight off his mind and off his shoulders. Wade finished off RVB in style with a 124 checkout! I expect Cross to win this game, but again it's going to go to the last leg. Barney is up against it against Gerwyn Price because Price knows he is playing well and he's also put to bed a few demons with this (DRA) Darts Regulation Authority fine hanging over his head. That's kind of gone now. I don't often go against Barney but I like what I saw from Price against Daryl Gurney last week. I know I'm going to regret going against Barney because I'm a huge fan of his as you know. I'm going to go with Gerwyn Price because Barney has already got a bit of pressure on him to perform, while I don't think there will be any pressure on the Welshman. Saying that, the booing up in Glasgow because of the Gary Anderson Grand Slam of Darts incident could put Price off. This really is a 50/50 game in my opinion even though there is a possibility of three results. Whoever is going to win it's about taking those opportunities. I don't see either if them outplaying each other, what I mean by that is they're both good scorers, they're both good finishers, they're both world class. I think it's going to come down to the odd one or two chances. But I think this will be a draw because it's a really tough one to call. Bearing in mind that Gurney is world number five there is no reason why Glen Durrant can't get in the top 12 in a year or so. 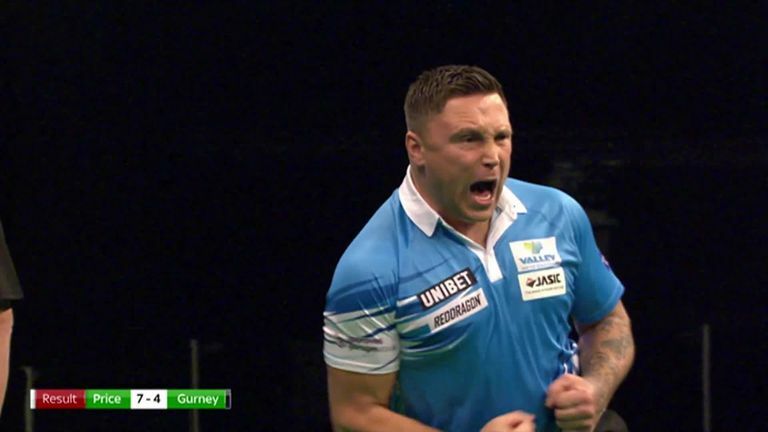 Gurney played well against Gerwyn Price last week in Newcastle. He just got beat by the better man on the night, but these two are a very similar standard and bearing in mind that Gurney is world No five there is no reason why Glen Durrant can't get in the top 12 in a year or so. I'm not going to say Michael van Gerwen is going to get beat but Suljovic is a real tough nut and he showed it by pulling off a draw against Chris Dobey in Newcastle last week. I'm not predicting Suljovic to win here, but at 6/1 I think that's quite a big price. I won't be backing him - I won't be having a penny on him - but at that price I wouldn't want to put anyone off. 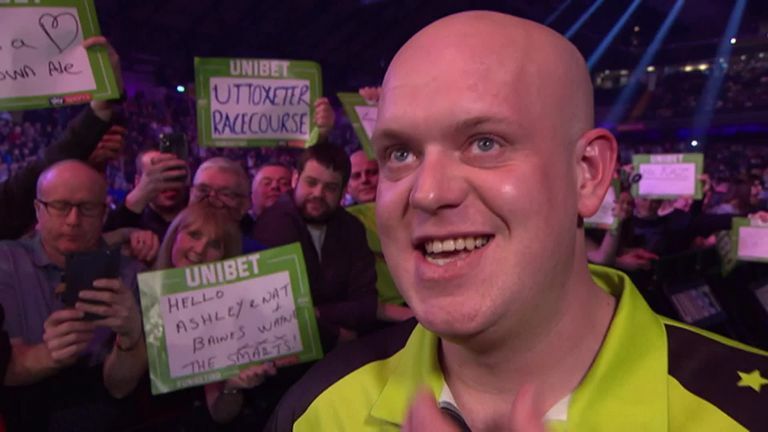 Van Gerwen is so much better than all the rest and yes he does get beat. Johnny Clayton, who beat him in Players Championship 2 on Sunday was inspired over the shorter format. I just think that Van Gerwen's standard is just so high right now. On a game-to-game basis he's just so good and if his opponents are not at their best then they won't get anywhere near him. If they are at their best, they invariably lose anyway. Put it like this, if Van Gerwen averages 102 then I think it will be a close game, that's taking into consideration that Suljovic will have to play well.